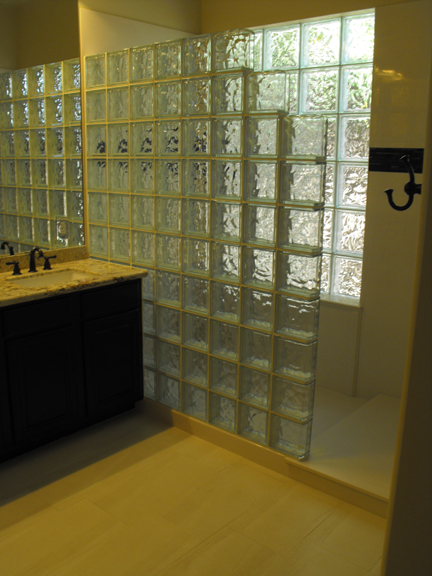 Our team completed this master bathroom & shower remodel in Fountain Hills, AZ in 2015. We removed the oversized bathtub and replaced it with a new large solid surface walk-in shower with a glass block splash guard. To stay in budget, we re-finished the cabinetry and added a granite countertop. 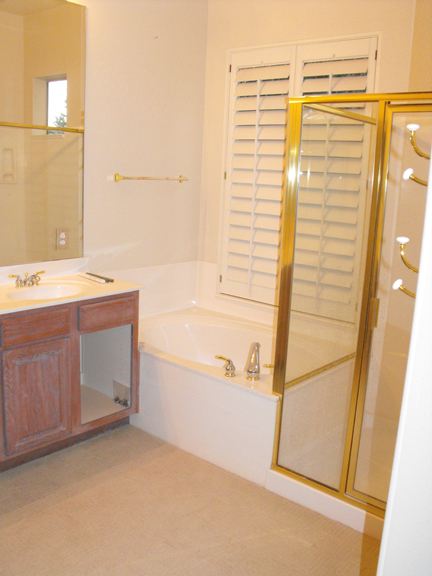 We updated the flooring, added new lighting fixtures, and completed the bathroom with a fresh coat of paint.